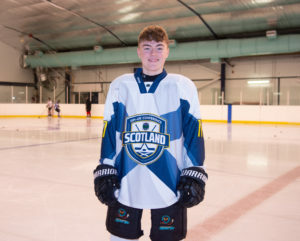 Home / Latest News / 3 x North Ayrshire Boys Make Scotland Conference Teams. 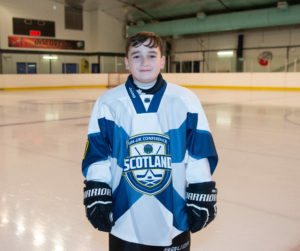 Home » 3 x North Ayrshire Boys Make Scotland Conference Teams. 3 x North Ayrshire Boys Make Scotland Conference Teams. 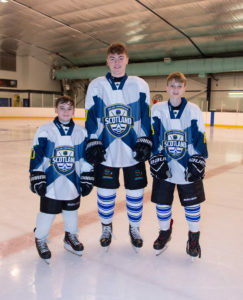 We are delighted to have 3 of our players selected to play for Scotland at their conference weekend 4th, 5th & 6th May at Sheffield Ice Arena. The hard work & effort that these players have put in to get to where they are on the Scotland radar is immense but not one of them complain, instead they embrace it, look for extra ice time and make their time on the ice count and that’s what needed to play at this level. Congratulations Boys & Keep up your hard work. Lennon Deeney is 9 yrs old from Port Glasgow & attends St John’s Primary School he has been with our club for 4 years. This is Lennon’s 1st time going to conference with Scotland & will be playing for Scotland Under 11’s Team. Flynn Massie is 11 yrs old from Ardrossan & attends Stanley Primary School in Ardrossan, he has been with club for 5 yrs. 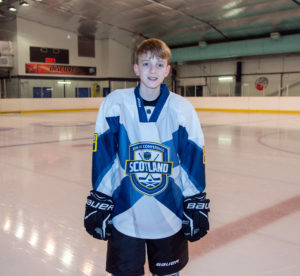 This will be Flynn’s 2nd time at Conference as last year he attended with the Under 11’s as their Captain & will this year be playing for Scotland Under 13’s Team. Zak Kenneth is 16 yrs old from Renfrew he attends Trinity High School and been with our club for 8 yrs. This is also Zak’s 2nd time at Conference as he was there last year with Under 17’s. Zak will again be playing for Scotland Under 17’s Team. so it’s great to see our home taught talent doing so well and loving every minute of it. Photo credit from Stephen Carslaw. ← Match Reports – 16th & 17th March. Stuart Robertson Cup Final Day – It’s here!!! Match Reports – 16th & 17th March. 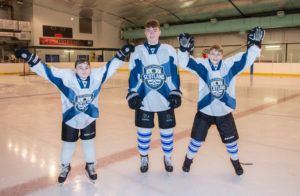 © 2002 - 2019 North Ayrshire Ice Hockey Club. All Rights Reserved.